Below: Listen to an audio recording of the panel discussion. 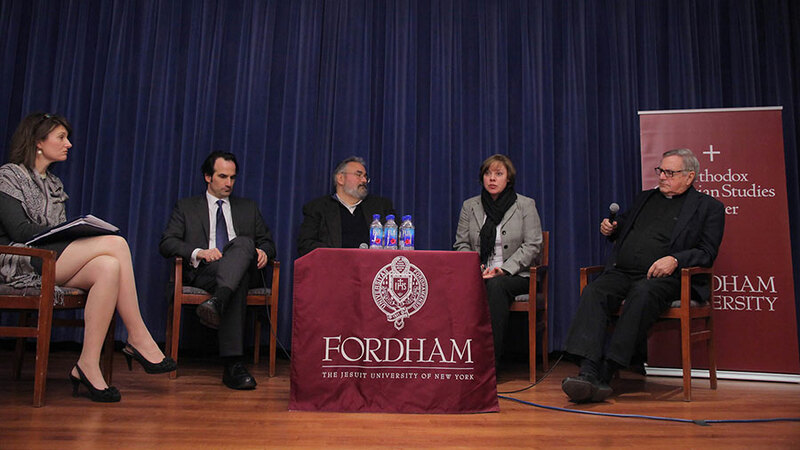 Divorce is contentious in many religious traditions, yet it is incumbent on faith communities to help congregants move through this often painful experience, said an interfaith panel of religious scholars at Fordham on March 7. 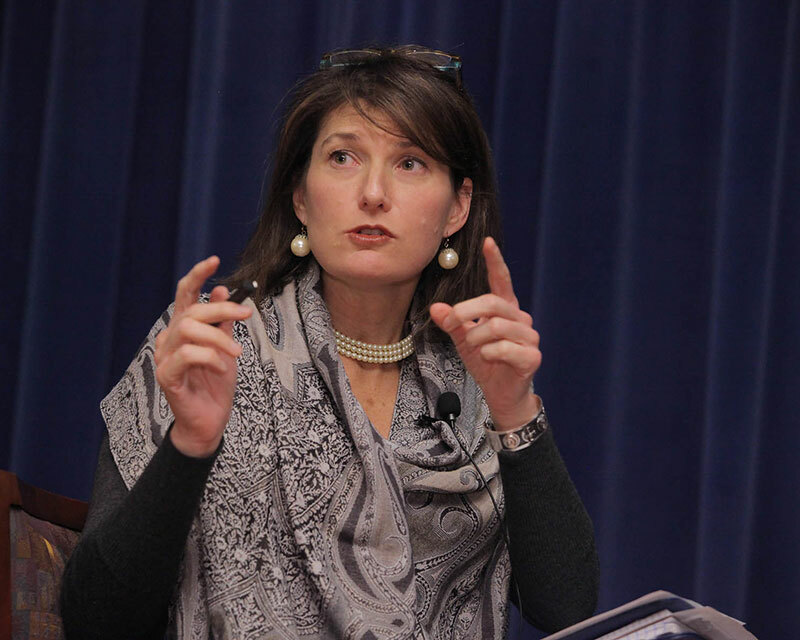 Moderated by Tiffany Steinwert, PhD, dean of the Office of Religious and Spiritual Life at Wellesley College, the panel examined the ways that three religious traditions—Catholicism, Judaism, and Orthodox Christianity—deal with divorce and remarriage. Although each tradition has customs and protocols to formally recognize the end of a marriage, there is a noticeable lack of spiritual and emotional support, especially when compared to the marriage preparation process. This problematic when the reality is that between 40 and 50 percent of marriages in the United States end in divorce, and marriage rates overall are dropping. 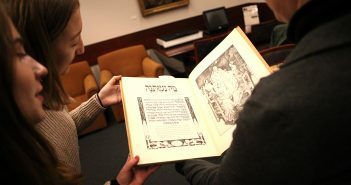 “Fewer people are choosing to get married, and it is increasingly difficult to sustain a marriage over the long haul,” said Rabbi Brad Hirschfield, president of the National Jewish Center for Learning and Leadership. Moreover, marriage “is increasingly a choice made by people at the upper echelons of the economic and educational system, which is interesting, because in many ways it was an institution that had to do with creating certain economic stability for the partners in it, and it seems to no longer do that for the people who we might think need it most,” he said. Faith communities need to show more compassion to congregants who go through divorces, the panelists said. One improvement might be to eliminate shaming language used to talk about these issues—for instance, referring to a marriage “failing” when it ends in divorce. “Take out the language of obligation from divorce, and the language of sin or right and wrong,” said Aristotle Papanikolaou, PhD, the Archbishop Demetrios Chair in Orthodox Theology and Culture and the co-founding director of the Orthodox Christian Studies Center. Such language is not only alienating, but in some cases is blatantly wrong, said Darlene Fozard Weaver, PhD, an associate professor of theology at Duquesne University. “There is a misconception that divorce itself is understood to be a sin, which is not true. 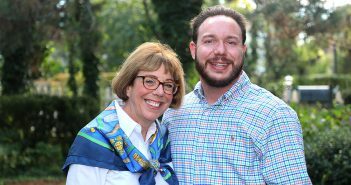 It’s not a teaching of the Catholic Church that you’ve sinned simply by getting divorced, but [that’s] the lay understanding,” Weaver said. (From left) Tiffany Steinwert; Aristotle Papanikolaou; Brad Hirschfield; Darlene Fozard Weaver; and Peter Fink, SJ. Another misconception—which has made headlines recently, thanks to Pope Francis and the 2014-15 synods of bishops on the family—is whether divorced and civilly remarried Catholics can partake in communion. Like the conflation of divorce with sin, the issue of communion is poorly understood, said Peter E. Fink, SJ, associate pastor at St. Francis Xavier Church in Manhattan. “You can never actually turn anyone away from Eucharist—no matter who comes, no matter where they are in their lives,” Father Fink said. The panel was co-sponsored by Orthodox Christian Studies Center and the Center on Religion and Culture, and was inspired by a panel of the same title created by Donald J. Kirby, SJ, the Robert A. Mitchell, SJ Chair at Le Moyne College, as part of a series on forgiveness.